Officials for Oakland County, a prosperous suburb of 1.2 million residents just north of Detroit, vigorously deny the accusations. "We're not racists here," said Keith Lerminiaux, the county’s corporation counsel. “When HUD says we're contributing to segregation in the region, that's flat-out ridiculous." In Oakland County, housing officials have focused millions in federal funds on home owners -- helping them buy homes and keep them with minor repairs. But HUD alleges that policy discriminates against minorities in the county who are more likely to be renters. Here's how communities across the state spend HUD HOME Investment Partnership money from 2011 to 2016. The letter is just now coming to light after Bridge Magazine learned of it from community housing leaders. Bridge met Tuesday with Oakland County officials, who say they are fighting HUD’s finding with the help of lawyers, a demographer and U.S. Reps. David Trott, R-Birmingham, and Bill Huizenga, R-Zeeland, who serves on a committee that oversees HUD. Oakland County officials hope to meet with HUD Secretary Ben Carson, a Detroit native. “We plan to continuously, vigorously defend our program,” Lerminiaux said. HUD gave the county a July 1 deadline to respond. At issue is funding for two HUD programs: Community Development Block Grants and the HOME Investment Partnerships program. Communities can spend CDBG money on a variety of projects, from youth camps and elderly transportation to legal assistance, public works and housing. HOME projects are more targeted at housing, from helping homeowners to home buyers to developers of rental properties. HUD gives the money to Oakland County and other large counties, which then pass along the money to communities that spend it according to county rules. In most cases, communities have wide latitude over how the money is spent. In Oakland County, HUD claims the county bars investments in rental assistance. County officials say there is no such prohibition but acknowledge prioritizing homeowners with minor repairs over fixing rentals. Doing so benefits more residents, rather than a handful of housing complexes, county officials say. HUD has approved spending plans every year and never questioned funding priorities, said Karry Reith, manager of the county’s community and home improvement division. In 2015, the Fair Housing Center of Metropolitan Detroit filed a complaint with HUD over the county’s housing policies and made many of the same allegations – that its focus on homeowners hurt renters who were more likely to be minorities. That complaint was ultimately dismissed, but it appeared to have sparked the current review. HUD started that review last year, coming to Michigan to talk with county officials and review documentation. At no point until March did federal officials indicate there was a problem, Oakland County officials said. The letter comes atop a long history of redlining and housing covenants in Metro Detroit, whose segregation HUD claims in the letter is “more extreme” than any other region. More than three-fourths of black residents in Oakland County are renters, compared to 40 percent of whites, HUD said. “The County's choice to use its CDBG- and HOME-funds for housing assistance to homeowners renders these households ineligible for assistance, therefore denying minority households the opportunity to benefit from federally-funded programs," HUD wrote. In Oakland County, white households were the beneficiaries of 86 percent of CBDG funds from 2011 to 2016, even though they comprised 71 percent of the county’s low-to-moderate income population. Blacks received 11 percent of the funds over that time, while comprising 20 percent of the county’s low-to-moderate population, according to the letter. County officials interpret the numbers differently, saying African-Americans received 24 percent of CDBG funds in the county in 2016 even though they comprise just 16 percent of total households. A Bridge review of 2016 HUD spending in Michigan showed that of $34 million in CDBG funding, just $2 million was spent on multi-family housing, though none of it in Oakland County. But of more than $144 million in federal HOME program money spent in Michigan since 2011, $90 million was spent statewide on rental housing, or 63 percent. None of that was from Oakland County. “The depth and systemic nature of their violations is really shocking,” said Thomas Silverstein, a Washington, D.C.-base attorney who works on the fair housing project of the Lawyer's Committee for Civil Rights Under Law. Lerminiaux said the county should not be penalized for spending its money on homeowners, a valid housing need in the county. "The fact that other people are doing (different) things with HOME money doesn't mean what we're doing is wrong or illegal," he said. Bill Mullan, the county spokesman, said the county feels it is on strong ground – especially with the new HUD secretary. Carson has made home ownership a focus. “What we’re doing here is what the top person at HUD intends to do with his administration,” Mullan said. Margaret Brown, the executive director of the Fair Housing Center of Metropolitan Detroit, was not shocked by HUD’s letter and its findings. She said the issues raised about rental housing affect affordable housing – and access to work, good schools. Brown’s not expecting, however, HUD to do much: Under President Trump, HUD has postponed an Obama-era rule to force communities to address housing segregation. “In essence, nothing’s going to happen,” Brown said. If that’s the case, Oakland County said the reason should be that it’s policies weren’t wrong in the first place and they did not adversely affect African-Americans. "If HUD thought it was such a problem, why did they keep approving our plan? If they thought it was segregationist?" Lerminiaux said. "HUD claims the county rarely spends money helping rentals and in fact bars communities from spending certain grant money on multi-family homes. Doing so had a “discriminatory effect on non-white households,” who are more likely to be renters,"
Hmmm wouldn't it be racist to propose that one race is more likely to rent than another? Matt, no, not really, not if its based on numerical/empirical facts, as the article presented. So if a given category of people is concentrated in a given occupation or a given geographic area that is or isn't racism or other ism? Trying to eliminate the feeling that, "it's racism when I want it to be and not when I don't", aspect of this. I notice very few minorities working at Ski resorts, racism? Oakland County is angered by the ridiculous assertion in a findings letter from the U.S. Department of Housing and Urban Development’s Office of Fair Housing and Equal Opportunity (FHEO) that the county needs to do more to support low-income minority renters to the detriment of low- to moderate-income homeowners who receive loans for much-needed home repairs through the county’s home improvement program. After all, HUD has approved the county’s plan for disseminating federal housing grants every year for 45 years. In addition, there is $70 million of affordable rental housing options in Oakland County. The county’s policy to utilize $7 million in federal housing money every year to support low- and moderate-income and minority home ownership rather than rental assistance conforms to federal law and aligns with the goals of HUD Secretary Dr. Ben Carson. We are shocked and perplexed. HUD is telling the county to take money away from minority families, individuals with disabilities, and single mothers who want to own or improve a home and give it to renters despite the abundance of affordable rental housing options already available in Oakland County. This is unrestrained government bureaucracy run amuck evidenced by the fact that one division of HUD tells Oakland County ‘excellent job’ while another HUD division, which is wielded as a political hammer, says otherwise. Oakland County Community & Home Improvement Division (CHI) administers about $5 million in federal Community Development Block Grants, which cannot be diverted to renters, and $2 million in the HOME Investment Partnerships Program (HIPP), which can be utilized for renters, across 57 communities every year. 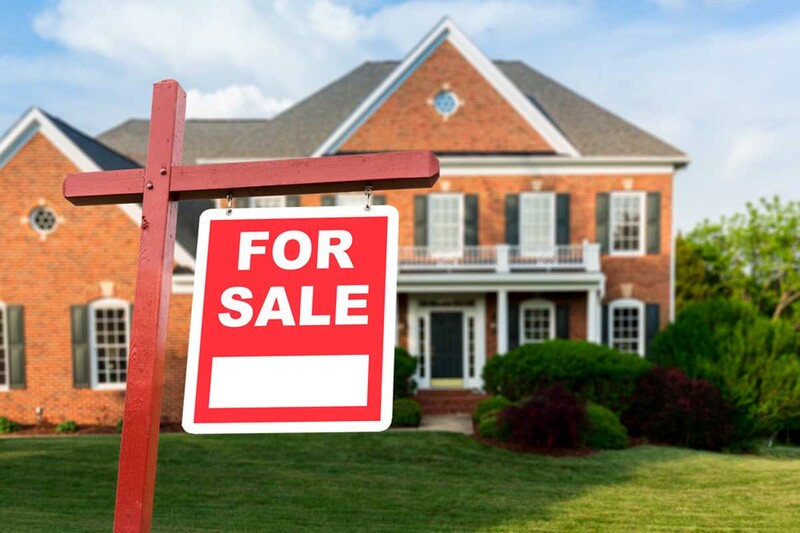 The county, with bipartisan approval from the Oakland County Board of Commissioners, has directed the administration of its funds toward low-income families who wish to own or improve a home. “We would like to take this opportunity to commend Oakland County on your successful completion of this year’s Annual Plan. We believe that the goals and objectives developed through this process provide the foundation for the formulation of new partnerships at all levels of government and with the private sector including for-profit and non-profit organizations. These partnerships are invaluable as you and your partners address the problems of affordable housing, homelessness, and economic opportunities for all citizens, particularly for very low-income, low-income and moderate-income persons,” the letter dated Oct. 19, 2017 said. HUD’s confidence in Oakland County was also evident when the department asked CHI to rescue Pontiac’s block grant program which languished while the city was under a state-appointed emergency manager. The county took over the administration of Pontiac’s block grant funds and did so effectively. Meanwhile, FHEO based its findings on faulty assumptions and skewed statistics. Oakland County’s programs do not have a disparate impact on African-Americans as FHEO claimed. An analysis of the appropriate demographics and statistics by independent demographers retained by Oakland County shows that African-American households received assistance at levels that exceeded their share of the relevant low- and moderate-income population. For example, 15.7% of low- and moderate-income households in block grant communities were African-American in 2016 while 24% of the households that received block grant funds were African-American. In 2014, 16.3% of low- and moderate-income households in block grant communities were African-American while 19.03% of the households that received block grant funds were African-American. There are similar results for the HIPP funds Oakland County administers. In 2016, 20.1% of the low- and moderate-income households in HIPP communities were African-American, while 21.48% of households that received HIPP funds were African-American. In 2014, 20.5% of the low- and moderate-income households in the HIPP communities were African-American while 19.7% of households that received HIPP funds were African-American. •	Lathrup Village: Of the 11 HIPP projects totaling $202,000 since 2013, seven or 64% were minority households. •	Oak Park: Of the 50 HIPP projects totaling $827,700 since 2013, 23 or 46% were minority households. •	Pontiac: Of the 116 HIPP projects totaling $2.2 million since 2013, 74 or 64% were minority households. •	Royal Oak Township: Of the four HIPP projects totaling $109,600 since 2013, four or 100% were minority households. •	Southfield: The city administers its own HIPP. Under Home Consortium funds, however, of 44 HIPP projects totaling $770,800 since 2013, 25 or 57% were for minority households. FHEO also insists that Oakland County must do more to ensure its cities, villages, and townships create more multi-family residential zoning. This is absurd because Michigan law does not grant the county the authority to determine zoning. Oakland County’s administration of federal housing funds complies with federal law and policy. HUD recognizes that local communities have the flexibility to use block grant funds to meet the specific needs of the area. Plus, HUD’s regulations afford local communities discretion to allocate block grant funds to address needs specific to the area. The regulations governing the receipt and distribution of block grant funds expressly permit funds to be dedicated to the rehabilitation and improvement of residential homes. For more than 40 years, CHI has enhanced the quality of life for Oakland County’s 1.25 million residents by promoting equal opportunity and access to housing, community development and public service programming. In fact, the county, as it does every year, participated in April is Fair Housing Month activities for 2018, including issuing a proclamation stating and supporting the principles behind fair and equal access to housing. CHI administers numerous block grant projects in 57 Oakland County communities with lasting benefits. To learn more about CHI and its programs, go to www.oakgov.com/advantageoakland/communities. Quick correction: I should have written 43 years instead of 45 years for the approvals from HUD. Apologies for the error. Why isn’t Detroit considered to be discriminating against home owners? Are they purposely discouraging home ownership? What about the other communities with similar numbers to Oakland County? Along that line, are they are going after Port Huron, Jackson, Warren, and Westland since they had the same HUD spending pattern as Oakland County?!? So why is any federal tax money being spent on housing? Under what authority? Just another scheme to tax the wealthy. The wealthy are being discriminated against. If that were true, then why are the top earners holding increasingly larger amounts of the wealth? Racial bias against minorities in upper class white areas outside Detroit? Now this is a shocking revelation - not.